Today, the untethered jailbreak for iOS 5.0.1 was released. Other jailbreak tools include RedSn0w and the Corona package were also released to provide for an untethered jailbreak but this is the only way to preserve your baseband for an unlock. PwnageTool will search for your iOS 5.0.1 firmware. If it doesn’t find the iOS 5.0.1 firmware, then go to Expert mode and browse for the specific location of your ipsw file. Put your device into DFU mode. 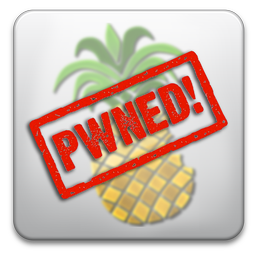 After that, PwnageTool will put your device into PwnedDFU mode for a custom iTunes restore. Close PwnageTool, open iTunes, and click option + restore and find your custom firmware (VERY important) that was placed on your desktop by PwnageTool. After you are booted back up, download UltraSn0w from Cydia. Now you can use your iPhone to with other carriers, including the Gevey SIM. Congrats! I know a lot of you have been waiting a long time for this untethered jailbreak and we are all glad it is finally here. Enjoy!